Construction spending for nonresidential buildings is projected to increase 4 percent this year and continue at that pace of growth through 2019. While the commercial construction sectors will generate much of the expected gains this year, by 2019 the industrial and institutional sectors will dominate the projected construction growth. Construction labor shortages and rising materials costs continue to be headwinds to future growth. However, rebuilding after the record-breaking losses from natural disasters last year, the recently enacted tax reform bill, and the prospects of an infrastructure package are expected to provide opportunities for even more robust levels of activity within the industry. The American Institute of Architects’ (AIA’s) Architecture Billings Index (ABI) and other major leading indicators for the industry also point to an upturn in construction activity over the coming year. Even eight and a half years into this current national economic cycle, the U.S. economy remains on solid footings. Given the strong levels of business investment, economic growth is estimated to have been 2.2 to 2.3 percent range last year, easily topping the 1.5 percent growth from 2016. Over two million new payroll positions on net were added to the economy last year, the seventh straight year that payroll growth exceeded that level. The national unemployment rate ended the year at 4.1 percent, its lowest level since 2000. And while low interest rates have helped to fuel this growth, rising stock prices have ensured that public companies have had access to capital to expand their operations. The Dow Jones Industrial Average increased almost 25 percent during the year. However, in the face of a supportive economy, construction spending on nonresidential buildings disappointed last year. Spending on these facilities grew by only about 2.5 percent, with spending on manufacturing facilities seeing a steep double-digit decline. The only sector achieving healthy growth was retail and other commercial facilities, which might seem an odd result given the numerous reports of failing shopping centers due to e-commerce sales. However, much of the spending reported in the retail and other commercial facilities category was for distribution facilities and related logistic operations to support a more efficient e-commerce system. Still, the slowdown in spending last year was sharper than expected. Annual 2015 increases were almost 16 percent across the entire nonresidential building category, with the office and lodging categories realizing strong gains, and the institutional categories posting increases of almost 8 percent overall. Growth in activity eased in 2016, with overall spending on nonresidential buildings increasing by only 6 percent even though the office and lodging categories posted gains of nearly 25 percent. Spending on institutional facilities was disappointing, with increases totaling less than 2 percent in this category. Rebuilding and repairs from natural disasters: The National Oceanographic and Atmospheric Administration recently reported its 2017 estimate of losses from major natural disasters like hurricanes, wildfires, and flooding. At $306 billion, it easily shattered the previous record of $215 billion (adjusted for inflation) set in 2005 from the impacts of Katrina, Rita, Wilma, and Dennis. While the totality of these loss figures won’t be directly translated into rebuilding and repair activity, they will produce significant opportunities for the construction sector. Existing research suggests that the duration of rebuilding activity after natural disasters is significant, with the peak in spending generally occurring two to three years after the event. Tax reform implications for construction: The recently enacted tax reform package dramatically reduced the nominal tax rates for businesses, and some of these savings will likely be reinvested back into the businesses. With capital expenditures able to be expensed rather than depreciated under the tax act, businesses have even more incentive to invest in their businesses. The impact of tax reform on business profitability will vary by industry, with more capital intensive industries (e.g., utilities, real estate, and transportation) and those with higher effective tax rates (e.g., agriculture, financial services) potentially benefiting the most. In contrast, the single-family housing market recovery is likely to be slowed by the tax package. The lower limits for the deductibility of mortgage interest, as well as the cap set on state and local tax deductions (including property taxes) reduce the tax preferences for homeownership, and likely will moderate growth in house prices, particularly for upper-end homes in areas with high state and local tax rates. Possibility of an infrastructure package: A priority of the Trump administration has been an infrastructure investment program. There have been several versions floated, with the current iteration calling for a $200-billion federal investment over the coming decade leveraging and additional $800 billion in state, local, and private investment. The details of such a program, and the likelihood of its being implemented, should unfold over the coming weeks. Strong consumer and business confidence levels: Consumer sentiment—as measured by the University of Michigan consumer sentiment index—turned up in the latter part of 2017, with fourth-quarter figures at their highest levels in almost two decades. Likewise, business confidence levels in 2017, as measured by the Conference Board’s CEO business confidence survey, were at their highest point since before the last recession. These indicators suggest broad confidence in economic conditions across both households and businesses, and a willingness to spend and invest. Leading economic indicators for the construction sector: While there are several “special circumstances” that may provide growth opportunities for the construction sector this year, there are other more basic indicators that point to growth. AIA’s ABI has been signaling growth in design activity for most of the past year, which would point to a comparable upturn in construction activity throughout 2018. Even more significant, the AIA’s index for new design projects coming into architecture firms saw an even sharper upturn than the overall ABI in 2017, demonstrating a growing pipeline for design activity. Additionally, both Dodge Data and Analytics and ConstructConnect reported strong gains in nonresidential building starts in 2017, demonstrating considerable building activity currently underway. After a somewhat disappointing performance last year, 2018 and 2019 are projected to see healthy levels of growth in nonresidential building spending. Even this late in the construction cycle, that AIA Consensus Construction Forecast panel sees opportunities for future expansion. This year, the strongest growth is expected to come from the commercial sectors, with spending on office, retail and other commercial, and lodging facilities all expected to see gains in excess of 4 percent. By 2019, the major commercial sectors will likely see slower growth, while industrial, healthcare, and education facilities are projected to see spending gains of 4 percent or more. The extent to which the major institutional construction categories can continue to generate healthy growth will largely determine the eventual duration of this construction cycle. Having reached levels comparable to prior construction cycles, commercial construction activity is unlikely to grow faster than our overall economy in coming years. The institutional categories largely have not reached the level of previous cycles, and therefore favorable business conditions could generate above-trend growth for the next few years for these building types. Kermit Baker, Hon. AIA, is AIA’s Chief Economist and part of the AIA Economics and Market Research Group, which provides AIA members with insights and analysis of the economic factors that shape the business of architecture. Reprinted with permission from AIA, January 19, 2018, www.aia.org. What trends can engineering managers expect to see that could impact their access to talent through 2018? Details may vary between specific industry verticals, but a few key issues will remain important, and possibly increase in significance throughout most industry segments. Engineering functions will continue to focus on optimizing processes in key areas like production, supply chain, product design, and predictability. As one result, quality engineering will remain in universal demand throughout the industry. The prevalence of Lean Six Sigma® and the vital importance of product and process quality throughout most industries will only continue to drive a need well into the future for quality engineers, analysts, and other engineering professionals working toward optimization. In fact, a recent analysis of job postings for engineering professionals showed that 17% required skill in quality assurance, 11% in Six Sigma, and 7% in Lean Manufacturing­—a total of 35% of all engineering postings. Industrial sustainability projects that involve energy and resource conservation, emissions control, renewable energy systems, or waste reduction all require engineering work to be performed by electrical engineers, environmental engineers, energy engineers, and others. The Department of Labor (DOL) estimates demand for environmental engineers to grow 9% by 2021, and for environmental engineering technicians to grow by 8%.The light-weighting of products and packaging is another area within technical sustainability work that should continue to expand, regardless of any regulatory changes, as it promotes savings in shipping and transportation costs, among other efficiencies. While the engineering profession has been a relatively late adopter of engaging engineering professionals via online talent platforms, the “Hollywood Model” and open innovation practices are well-suited to take advantage of engineering free agent consultants. Modern research and development practices involve collaboration between a sponsoring manufacturer or other project underwriter, suppliers, consultants, engineering services firms, and free agent engineers. These project teams, which integrate regular employees as well as external engineers, are assembled and brought together for the life of the project, similar to the way modern movie studios produce films—as opposed to decades ago, when all of the actors were direct employees of the movie studios. This results in the practice of open innovation, which means the involvement of contributors beyond the regular employees of the sponsoring organization in the discovery and creation process, avoiding the so-called “not invented here” syndrome. The latest DOL reports project that engineering services firms, which accounted for 18% of all engineering jobs in 2016, will add 35,000 more by 2021. 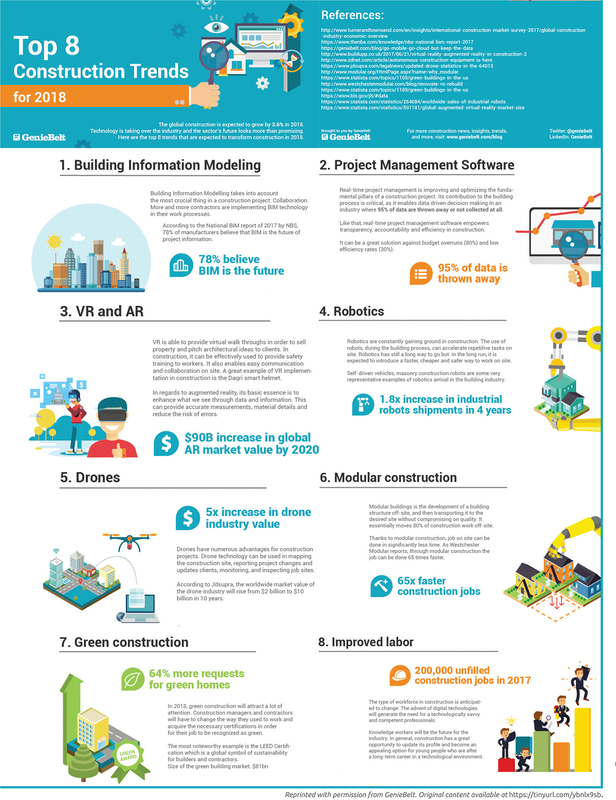 The fourth industrial revolution is upon us, and projects that take advantage of new technological advances are driving demand for engineers, technologists, and technicians in many industry verticals. The widespread adoption and recent developments in robotics and plant automation systems continue to impact productivity end-to-end, and how engineering can do business across whole product lifecycle. This trend has realized tremendous improvements in worker productivity and the talent gap in manufacturing. As another result, there will be significant competition ahead for talented professionals such as instrumentation and controls technicians, automation engineers, and industrial control systems designers. As an illustration, of all recent engineering job postings, 9% required skill in instrumentation. The implementation of additive manufacturing (AM) technologies is accelerating rapidly and growing in importance. 3D printing has been in common use for prototyping and adoption is quickly accelerating for production applications—most notably in aerospace, defense, medical device, and the automotive sector. Some of the largest manufacturers in the world are investing heavily in rapid technologies, which is leading to a demand for engineers and technologists who are talented in both developing new applications and integrating the technologies into production environments. As one result, while industrial engineers today account for just 11% of all engineering professionals, they account for 34% of all engineering job postings, a 3:1 ratio reflecting a significant gap. Design for Additive Manufacturing (DFAM) and topology optimization (TopOpt or TO) are among the hot skills for engineers engaged in AM. The advent of digital manufacturing will have an ongoing effect on engineering for the foreseeable future, as more and more solutions and services become available on demand. For instance, the “smart factory” concept, enabled by the Industrial Internet of Things (IIoT) and featuring data connectivity between production machinery, CAD/CAM, ERP, and suppliers, is allowing powerful new analysis and management of manufacturing operations. AutoCAD skills were required in 17% of recent engineering job postings. Manufacturing and process engineers are increasingly expected to be fluent and adept at the data access and analysis available in these environments. As demand increases for a talented workforce, engineering firms and corporations are reaffirming their need to partner with trusted firms for on-demand engineering recruiting, staffing, and outsourcing services. A true talent supply chain management approach will be focused on maximizing business outcomes: What matters most is that this talent delivers the right results for each unique organization, and their key objectives or priorities. Consulting services should provide impartial advice, enabling each organization to decide whether to manage the program internally or entrust it to a provider. These partnerships can directly contribute to a firm’s success, especially in the face of ongoing talent shortages. Take the time to verify that your staffing provider is well positioned to supply the talent you demand, and can point you to additional cost-saving workforce solutions. Reprinted from Kelly Engineering Resources® (kellyservices.us/engineering), a registered trademark of Kelly Services. Six Sigma is a registered trademark of Motorola Trademark Holdings, LLC An Equal Opportunity Employer © 2017 Kelly Services, Inc. Overall, construction firm owners are optimistic about 2018 and expect growth for all types of construction services in both the private and public sectors. In fact, 53 percent of respondents to a comprehensive survey of construction firms conducted by Associated General Contractors (AGC) of America and Sage Construction and Real Estate expect the dollar volume of projects for which they compete for in 2018 to be greater than the dollar volume available in 2017. “Only 9 percent of respondents expect the dollar volume to be less than 2017, which gives us a net positive of 44 percent,” explains Ken Simonson, AGC’s chief economist. Construction owners are most positive about private office, transportation, retail, warehouse, lodging, water, sewer and manufacturing, with each of these sectors reporting a net positive of 20 percent or more, he adds. Categories for which construction owners are less optimistic include multifamily, higher education, power and public building. Schools (K-12) and hospitals fall in the middle, with an 18 and a 17 percent net positive respectively. Along with growth in construction projects comes a need to expand the workforce—which is the greatest challenge identified by construction company owners. Seventy six percent of survey respondents indicated that they are planning to increase their headcount in 2018: 50 percent plan to increase headcount between 1 and 10 percent; 21 percent plan an increase of 11 to 25 percent; and 5 percent plan a workforce increase of more than 25 percent. When asked what positions are difficult to fill, 50 percent of construction company representatives surveyed said that they have a hard time filling both salaried and craft worker positions, and 21 percent said that they could fill salaried positions but not craft worker positions. Survey respondents don’t anticipate the shortage in qualified employees to change much, with 53 percent indicating that they believe it will continue to be hard to find and hire qualified professionals in the next year. Strengthening the labor pipeline will require some grassroots efforts such as those taken by McAlvain Companies in Idaho, an Idaho Branch member. “We have a workforce of 150 to 175 craftsmen, and it is difficult to find carpenters and laborers,” says Chuck Graves, president of construction and concrete for McAlvain. His company starts building its pipeline in the junior high schools by talking with students, teachers and parents about construction careers to build awareness of the industry and to create interest in construction job opportunities. “We will hire someone with no experience and train them,” he adds. “Last year, we also increased wages and benefits to attract and keep good employees,” says Graves. His company was not alone with wage increases: 60 percent of construction firm owners increased base pay, 36 percent provided incentives and bonuses; and 24 percent increased contributions and/or benefits – according to the AGC survey. One trend that Brown expects an increased interest in is private-public partnerships (P3s). This delivery method can address the infrastructure investment challenge cited by contractors. “There are many benefits to a public entity with a P3,” he says. “A state or local government can get a project built without burdening taxpayers or delaying the project.” Although Florida is a leader in adoption of P3s, Brown sees the trends growing nationally for large public, infrastructure projects. While the P3 approach doesn’t solve the workforce problem completely, it can help contractors better handle the need for additional employees, says Brown. “Rather than the traditional design, bid and build process, in a P3 project, all members of the team are involved earlier in the process, which gives contractors an opportunity to plan ahead for how many employees and what type of skills will be needed at different points,” he explains. Although contractors expressed concern about federal regulations and lack of infrastructure investment, the contractors who perform public-sector work were optimistic about 2018, says Stephen Sandherr, chief executive officer of AGC. “The association has been working aggressively to push for new investments,” he says. Sheryl S. Jackson is the President of Sheryl S. Jackson Communications and writes for numerous publications. Reprinted with permission from Constructor, March/April 2018, a publication of the Associated General Contractors of America, www.constructormagazine.com. Looking at E&C market conditions in the U.S. and Canada right now—and barring any unforeseen events—both are about as good as we can expect them to be. In both countries, the demand for investment in all types of infra­structure is very strong and pervasive. Broadly speaking and looking across the breadth of the built environment as a whole, and based on industry backlogs that are (on average) booked through 2018, the next 12 months should be as good as—or even better than—2017. We’re currently in a low-inflation, full-employment environment in the U.S. In Canada, we’re seeing a stabilized and moderately improving economy. Combined, these factors are helping to drive growth in the North Ameri­can E&C market. In the U.S., we’re seeing the potential for material tax reform with the passing of the new tax overhaul laws and expect this new level of corporate tax reform to serve as an additional catalyst for economic growth and investment. In Canada, various tax incentives are also being discussed, mainly related to capital investment and capital gains. Today, the E&C industry in the U.S. and Canada is a smaller part of the North American gross domestic product (GDP) than it has been historically, and the amount of investment in infrastructure far outweighs the quantity of available and accessible public finance. To reverse this trend, the planning, financing and constructability must be done more efficiently and with a lower risk profile to meet the infrastructure demands of today and tomorrow. Basically, as an industry, we must address this question: How do we do the same or more with existing or less financing than has historically been available? That’s a key challenge that we should all focus on as we strive to accomplish more with the same (or fewer) resources within the context of a lower overall risk profile. Achieving this goal isn’t going to be easy, particularly in a business environment where industry veterans with extensive know-how and experience are retiring at an alarming rate. And as the workforce ages out, many business owners are retiring right along with it. This marks a huge shift and the beginning of a new era in which younger generations take over the $1.4 trillion E&C legacy that was established by the baby-boom generation over decades. Concurrently, the capital associated with the sustentation of the broader E&C industry is turning over. Any new capital that’s coming into the industry is likely to be foreign-sourced and based on infusions from outside of the industry and/or from countries outside of North America. This will drive the need for new business models; the continuation of emerging megafirms; new project delivery models; and innovative ways to plan, design, construct and assemble E&C projects. The new, competing business models will likely be more efficient than their predecessors, be managed in a lower-risk environ­ment, and emerge across all industry segments. When developing their strategic priorities for the coming year, E&C firms should pay close attention to the level of capital that’s leaving the industry—along with the people who know the industry best. With industry participation 99% privately owned, the capital has to turn over at some point. Here at FMI, we expect to see significant and sustained high levels of merger and acquisition (M&A) activity as firms are sold or continue to expand their footprints, driving more industry consolidation and reshaping the business landscape. This, in turn, will accelerate the bifurcation of the industry into a combination of very large, complex, sophisticated, mul­timarket-sector businesses across different geographies, as well as the smaller niche firms that are more focused in scope, geographic reach and market influence. Of course, we’re already seeing this happen in E&C, but it’s a trend that will be stimulated by the fact that those companies with capital will put that capital to work, and those firms without the capital will likely be sold. As part of this shift, we’ll see a proliferation of lower- and middle-market firms adopt employee stock ownership plans (ESOPs) while also broadening out employee ownership of privately owned companies. As an industry, we can’t just ignore technology trends and continue to do business as usual. For example, we expect to see more than $500 million of new, private capital being designated to investment funds that back startup firms focused on innovative construction technology or service solutions to address the productivity and risk issues in our industry. This is just one sign of the times and an indicator of how both new and established companies will have to embrace new business models that help them be more productive, efficient, innovative and creative in their approach to designing, manufacturing and building projects. When developing strategic priorities for the year ahead, E&C firms should strive to stay focused on the long-term view while also taking advantage of the “now,” with the understanding that this will require good balance, solid leadership, deliberate succession planning and a holistic approach to business growth. Combined, these factors will help companies fully leverage the opportunities that are on their plates right now while also making the most out of future prospects. Going forward, E&C companies will also have to be more proactive and intentional about understanding how their sup­ply chains are changing and how everything from design and preconstruction to procurement to delivery to operations is evolving. 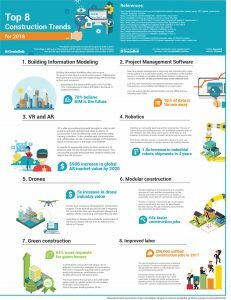 For example, what’s happening right now with construction manufacturing, 3-D printing, robotics, AR/VR, wearables and drones transforming job sites, etc., are all significant material indicators of how things are changing. To compete effectively, companies need to be aware of—and develop proactive strategies for managing—these shifts and develop transformative plans for participating in these emerging ecosystems. This may mean changing business models, embracing new technologies that lead to efficiencies, participating on project teams (i.e., by working with a joint venture partner) and/or selling to larger entities. Most importantly, owners and leaders of E&C firms must not mistake a healthy robust market as an excuse to prac­tice business as usual. Instead, pay attention to the fundamental transformations and irreversible trends that are currently impacting the industry, look carefully at how you’re operating today, and then come up with ways to become more proactive about transforming your company to become even more competitive and agile in today’s new and changing marketplace. The tax overhaul is expected to positively impact both public and private education markets. Public markets will benefit through the continued tax-free status of private activity bond financing; private markets will benefit from new streams to fund private school tuitions; and both will benefit from the various favorable credits included. However, based on the restructure of taxpayers’ available deductions/limits, there are potential risks for reduced state and local funding into public schools as well as decreased donations toward colleges. K–12 enrollments are seen increasing in more than half of the states. Increased use of ­flexible space to accommodate year-round schools. Chris Daum is the President and Chief Executive Officer of FMI Corporation. Excerpted with permission from “2018 FMI Overview,” www.fminet.com/construction-outlook. He oversees the management of all FMI businesses and services and leads the firm’s strategic growth efforts. If someone were casting roles for a production of The Tortoise and the Hare, the U.S. economy would be a favorite to play the tortoise. While this analogy may be a bit harsh, economic growth remains mostly slow, but persistent. It was not always this way. Based on recently revised data characterizing U.S. GDP, the economy came close to the magical 3 percent threshold—one that it had failed to cross since 2005—by expanding 2.9 percent in 2015. The year prior, the U.S. economy expanded 2.6 percent. That’s better than turtle speed. However, last year, the U.S. economy only managed 1.5 percent growth. It then expanded just 1.2 percent during 2017’s initial quarter on an annualized basis, the latest in a string of weak first quarters. In other words, for more than a year, the U.S. economy has been consistently growing at less than 2 percent: Enter tortoise stage right. That changed, at least temporarily, during the second quarter of 2017. Based on revised estimates from the Bureau of Economic Analysis, the U.S. economy expanded 3 percent on an annualized basis from April through June. As has been the case for several years, much of the progress was driven by growth in consumer outlays. Government spending, by contrast, continues to contribute little, if anything, to the current pace of economic expansion. In fact, based on construction data, investment in a number of publicly financed infrastructure categories has been in decline, including spending on dams and levies, highways and streets, and water systems. This dynamic has created a dichotomy within the nation’s nonresidential construction industry. While construction firms that focus on private construction activities have seen abundant demand for their services and accompanying lofty backlog on average, firms focused on public construction have been less likely to remain busy. For instance, many heavy highway contractors express disappointment regarding the level of roadwork in the aftermath of the passage of the Fixing America’s Surface Transportation Act in December 2015. While national output growth has remained erratic, the country continues to add jobs at a healthy clip. Between August 2016 and August 2017, the nation added 2.1 million jobs—impressive given how difficult it has been for construction firms, trucking enterprises, manufacturers, and health-care providers to identify available talent. With the U.S. unemployment rate now below 5 percent (4.7 percent as of September 2017), it’s generally agreed on that the nation is at, or close to, full employment. As available human capital continues to be siphoned off through monthly job growth, the pace of job creation will presumably soften and wage growth will accelerate. Data indicate that wage pressures are building and that broader inflation expectations are on the rise. Median household income has risen relatively rapidly during each of the past two years. According to the government’s most recent Job Opportunities and Labor Turnover Survey, America boasts 6.2 million job openings—the highest number since the U.S. Labor Department began monitoring job postings in 2000. Seven million Americans are unemployed, which means that there is almost one job for every person searching for one, implying that the chase for workers will only intensify during the months ahead and that the rate of wage increases is likely to accelerate further. Perhaps in response, the U.S. bond market appears to be pricing in a higher chance of an interest rate hike by the Federal Reserve in December 2017, with the notion being that America’s central bank will perceive a need to continue to take steps to keep problematic inflation at bay. Some data certainly indicate that inflation expectations and fears are overblown. During the past year, average hourly earnings are up 2.5 percent on a year-over-year basis. That general pace hasn’t moved much during the past few quarters and falls short of the hourly earnings growth that typifies a solidly performing economy. During the months preceding the most recent recession, wage growth consistently exceeded 3 percent. Since 2009, when the economy began its recovery, wage growth has only expanded at a rate of 2.2 percent a year. This is less than wage growth seen in the 1980s (3.3 percent), 1990s, (3.2 percent) and 2000s (3 percent). The fact that wage growth has failed to accelerate represents one of the nation’s great economic mysteries. There is no shortage of potential explanations, including globalization and overall slower productivity growth. All of these explanations are valid to some extent, but a more likely explanation lies in demographics. With roughly 10,000 baby boomers turning 65 each day, the number of retirees continues to grow. As younger workers replace older ones, labor costs subsequently fall. Additionally, this helps explain the surprisingly strong corporate profitability, even as the nation’s economy only expands at a rate of 2 percent and while the global economy grows well below 4 percent. Although average wages do not appear to be rising rapidly, the vast majority of construction industry leaders believe the ongoing skills shortage is a major issue. Here’s a rationale for this apparent inconsistency: As older, more skilled construction workers leave the industry in larger numbers, construction firms are induced to look for replacements. However, because many younger members of the U.S. labor force have not focused on the acquisition of construction-relevant skills, firms are often hiring on the basis of potential. This process results in enormous training costs and lower industry productivity. It also results in what appears to be smaller wage increases as established, well-compensated talent is replaced by hopefully trainable people entering the industry at lower levels of pay. When controlling for these compositional effects, wages are rising quite rapidly in the U.S. construction industry. A survey conducted earlier this year by Engineering News-Record suggested that construction firms expected to increase worker compensation in the range of 4 percent to 5 percent in 2017. Inflation concerns transcend the labor market. Life in general appears to be getting more expensive, whether in the form of rising costs for homes, tuition, health care or fuel. Still, through July, the core personal consumption expenditures (PCE) index—the Federal Reserve’s preferred measure of inflation—was up just 1.4 percent, well short of the 2 percent target. The issue of inflation stands at the heart of the outlook for the U.S. construction industry. America’s recovery is now in its ninth year. U.S. financial indicators, including the Dow Jones Industrial Average and S&P 500 Index, have achieved record highs repeatedly this year. Low interest rates have represented a major factor. With investors suffering difficulty generating investment yield from fixed income assets, many have been chased up the risk spectrum into assets such as commodities, stocks, riskier bonds and commercial real estate. The result has been elevated asset prices, which helps create positive wealth effects for the broader economy and also lifts demand for construction services. However, low interest rates can only persist if inflation remains low. Construction firms focusing on private segments, such as office and lodging, have frequently flourished as a result. Money has poured into office, hotel, apartment and related segments, driving up asset prices and inducing developers to add rooms and space. Unfortunately, local, state, and federal governments have failed to take full advantage of low borrowing costs to invest in infrastructure. Many public construction segments have actually experienced declining construction spending during the past three years, including basic functions like waste disposal and water treatment and delivery. The ongoing lack of investment in infrastructure positions the U.S. economy to underperform for generations. In its 2017 report, the American Society of Civil Engineers (ASCE) gave U.S. infrastructure a grade of D+. Segments receiving a D+ or below included aviation, dams, drinking water, energy, hazardous waste, inland waterways, levees, public parks, roads, schools, transit, and wastewater. Railroads, which received a B, appear to be the only category in which the United States is keeping pace. According to the ASCE, the United States will need to spend an additional $1.44 trillion on infrastructure during the next decade to bring its collective public works up to a reasonable standard. If this investment is not met, it could mean the loss of 2.5 million jobs during that period of time. For now, the outlook remains stable, and the next year should represent a period of expanding nonresidential construction spending. Associated Builders and Contractors’ Construction Backlog Indicator (CBI) remains elevated. Energy prices have risen, which should position the power sector to be more of a driver of economic activity. Rising home assessments also are boosting local tax collections, which should help stabilize infrastructure spending in many communities. The broader economy is also in good shape. Increasingly, the worldwide recovery is a synchronized one, with each of the major global economies now expanding. The U.S. economy remains buoyed by confident consumers and rising household incomes. Successful pro-business legislative efforts emerging from Washington, D.C., could serve to further bolster the near-term outlook. However, the outlook for 2019 and 2020 is hardly guaranteed. Asset prices are high and arguably vulnerable to steep declines. Any number of events could trigger selloffs, including rising inflation/interest rates, North Korea, cyber attacks or political intrigue. Many construction firm CEOs expect the next year to be good, but believe the current construction spending recovery cycle will be upended at some point within the next three years. Anirban Basu is the Chief Economist of Associated Builders and Contractors. Reprinted from Construction Executive, December 2017, a publication of Associated Builders and Contractors. Copyright 2017. All rights reserved. Mr. Basu is also the Chairman and CEO of Sage Policy Group. He can be reached at basu@abc.org. “These new tariffs will cause significant harm to the nation’s construction industry, put tens of thousands of high-paying construction jobs at risk, undermine the President’s proposed infrastructure initiative and potentially dampen demand for new construction projects for years to come. That is because the newly-imposed tariffs will lead to increases in what construction firms are forced to pay for the many steel and aluminum products that go into a typical construction project. “Firms that are already engaged in fixed-price contracts may be forced to absorb these costs, forcing them to cut back on new investments in equipment and personnel. Higher steel and aluminum prices will make the kind of infrastructure work President Trump supports more expensive, forcing federal, state and local officials to cut back on projects they can fund. And the likely trade war these new tariffs prompt will diminish demand for private investment in infrastructure as well as construction demand for manufacturing, shipping and distribution facilities. “Considering the damages these new tariffs will inflict on the construction industry, it is easy to understand why recent, independent studies estimate that nearly 30,000 construction workers will lose their jobs because of these new tariffs. This release from the AGC can be accessed online at https://tinyurl.com/ybyvqoz8/. This article was published in the April/May 2018 issue of Insulation Outlook magazine. Copyright © 2018 National Insulation Association. All rights reserved. The contents of this website and Insulation Outlook magazine may not be reproduced in any means, in whole or in part, without the prior written permission of the publisher and NIA. Any unauthorized duplication is strictly prohibited and would violate NIA’s copyright and may violate other copyright agreements that NIA has with authors and partners. Contact publisher@insulation.org to reprint or reproduce this content.